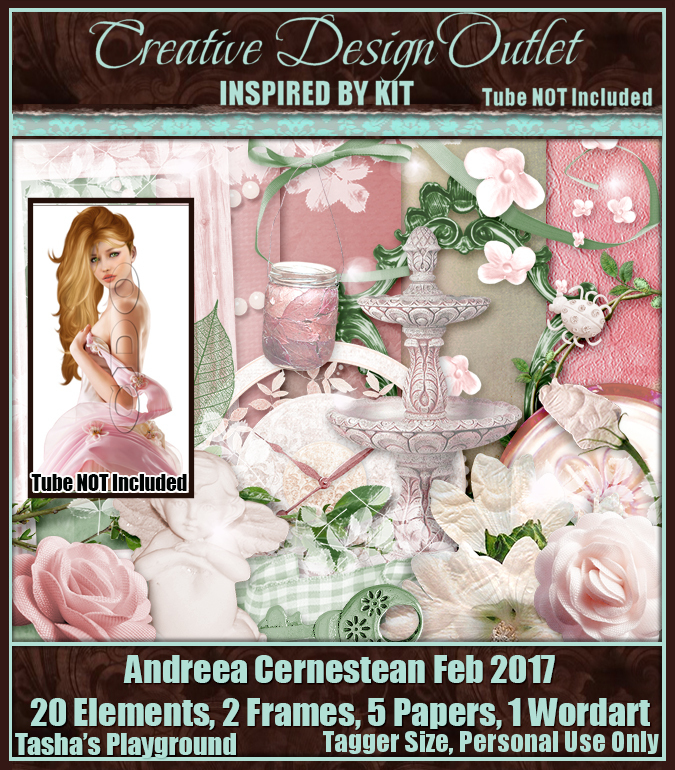 CT Tag for Tasha of Tasha's Playground using an amazing new kit she made to match this month's bonus tube for Andreea Cernestean. Love is in full bloom and through the eyes of love it flourishes and grows stronger each moment they are together. You can purchase this stunning kit by Tasha, exclusively at CDO here. I simply could not resist using the tube that inspired this wonderful kit. 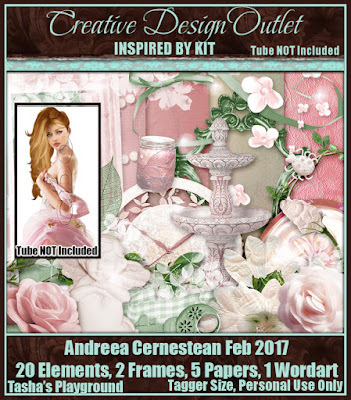 This gorgeous bonus tube by Andreea Cernestean can be yours for free at CDO, if you purchase $10 or more of Andreea's art tubes, check out her tubes available for purchase here at CDO. However you want to hurry as this is only available through the 28th of February.